Mike enlisted in May, 1984, and trained as a Law Enforcement Specialist. Mike served at multiple locations, including the 14th SPS, Columbus AFB MS (84-85), the 7217th SPS, Ankara Air Station, Turkey (86-88), and the 3700th/394th/37th SPS/SFS at Lackland (88-98). 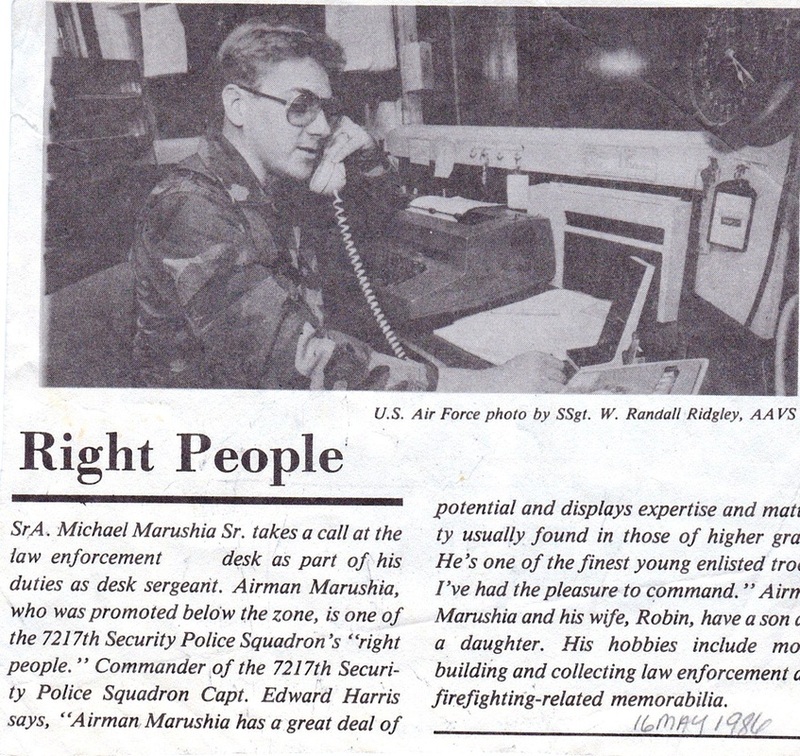 In almost ten years at LAFB, Mike served as an Entry Controller, Senior Patrolman, Desk Sergeant, Hospital Security Shift Leader, Squadron Scheduler and Trainer, and Resource Protection Program Manager, and occasionally supported the Lackland OSI Detachment during high-level investigations. 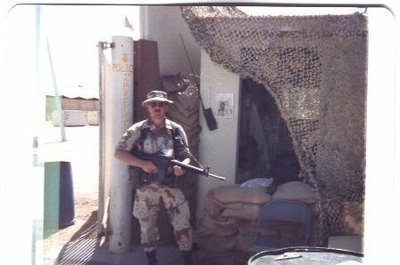 In August 1990, Mike deployed to Taif Air Base, Kingdom of Saudi Arabia in support of Operations Desert Shield/Desert Storm. 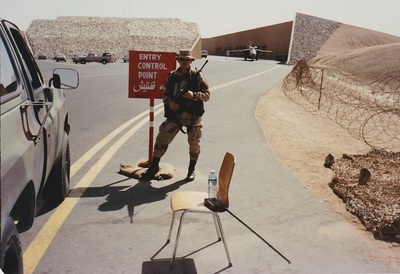 In Feb 97, Mike again deployed to Al Dhafra Air Base, United Arab Emirates, in support of Operation Southern Watch, where he served as the NCOIC of Administration, Arms & Munitions, and Supply. 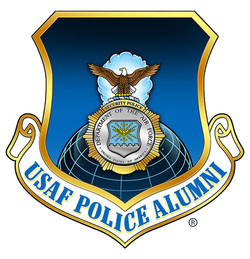 In January 1998, Mike left active duty and enlisted as an IMA in the USAF Reserve at the 1st Security Forces Squadron, Langley AFB VA. Mike was awarded an AAS Degree in Criminal Justice from the Community College of the Air Force. In October, 2001, Mike was recalled to active duty and served in support of Operations Noble Eagle and Enduring Freedom, remaining mobilized until April 1st, 2003. 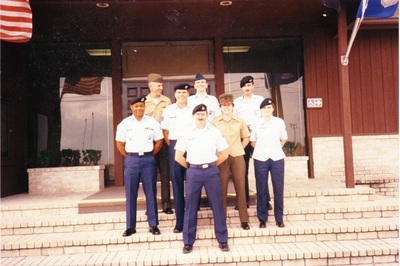 Mike continued his service in the USAF Reserve until retirement in February, 2005. 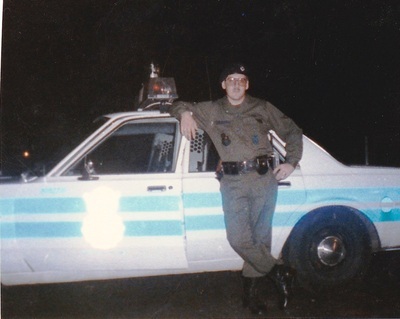 Mike most recently worked for a large financial services corporation as a Regional Security Manager, where he had responsibility for the physical security, safety, and surveillance of multiple facilities in the US and Canada. 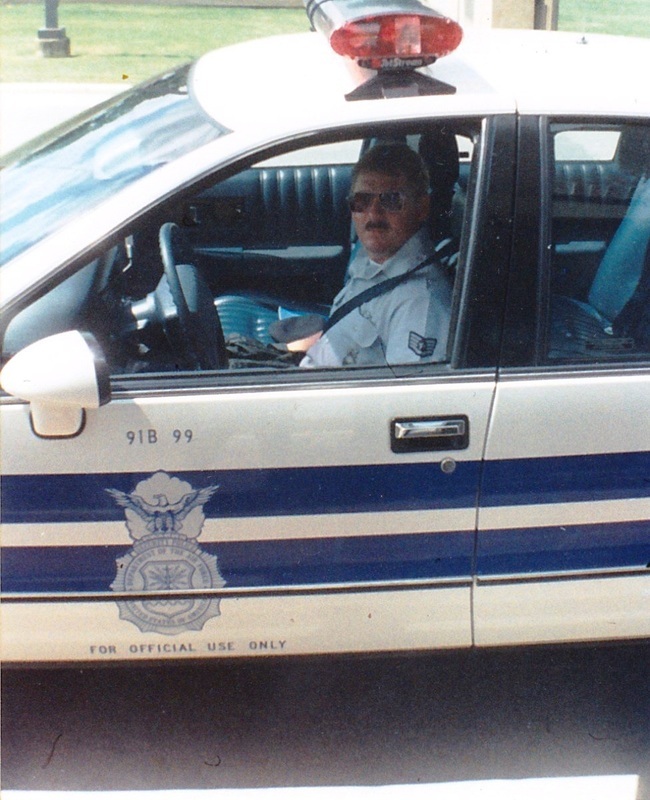 Mike is a very active member of the VFW, currently serving as both the Post Adjutant and Webmaster for Post #392. 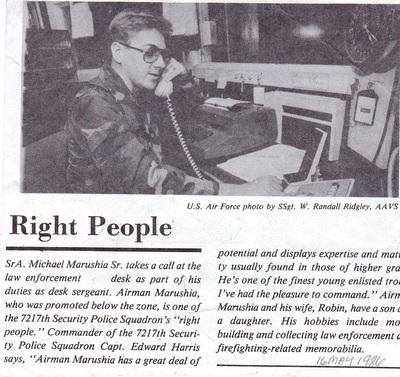 Mike is married to Stephanie Marushia, a US Army EOD veteran, residing with their son in Virginia Beach, VA.